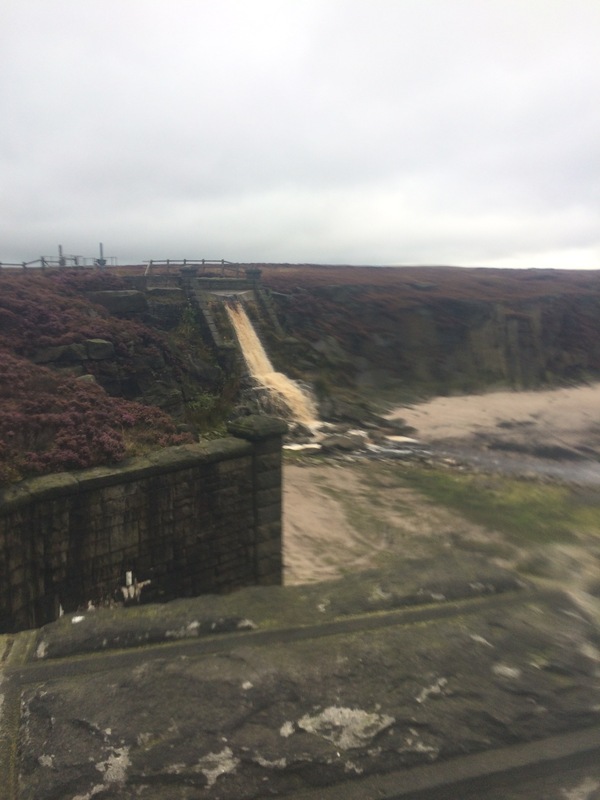 Does walking the Pennine Way look hard to you? Well why not sponsor me here. It’s gonna be one of those days. After a good deal of panic regarding my lack of socks it transpired that despite my advice my father kept back a spare pair of walking socks. I was concerned that having successfully avoided getting blisters for several days this change in socks seemed certain to lead to their renewal. The only alternative would be to take the bus (which I had astonishingly seen whisk pass the youth hostel at half past eleven last night) to Todmorden and hope that their was a shop there which sold outdoor equipment. If there was not a trip onto Skipton would have been necessary. Flags! 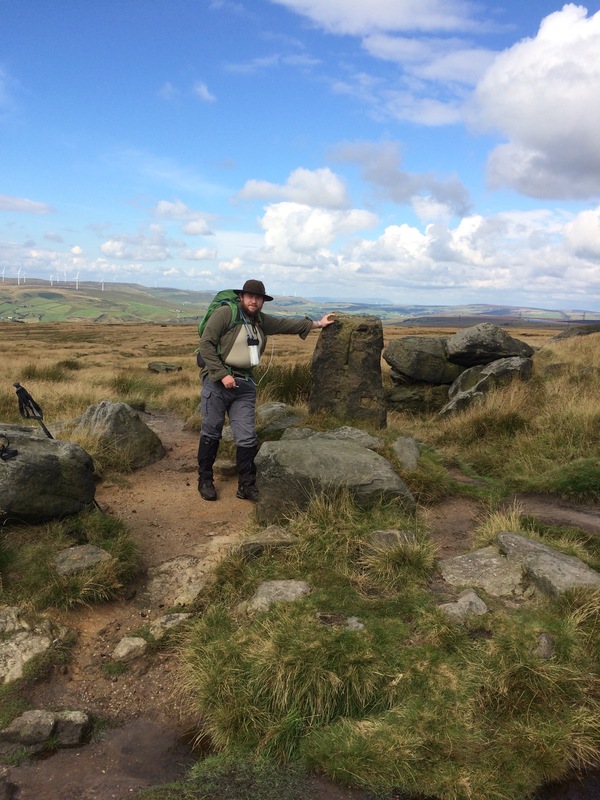 But not on the Pennine Way!? 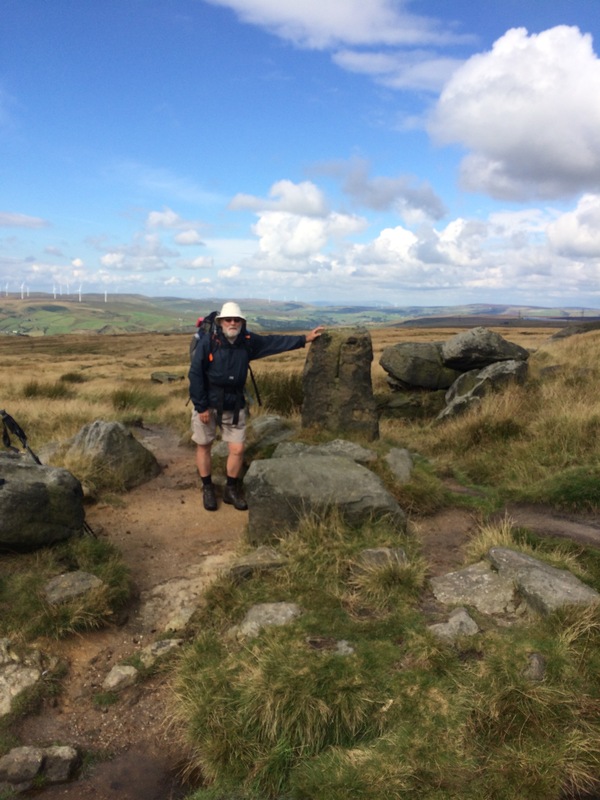 Having suspected that they had been accidentally been taken by one of the the large group from Sheffield I tweeted the man who seemed like their leader (he has an OBE don’t ya know) that ‘@pvcryan I think one of your number have accidentally left Mankinholes with my only pair of walking socks #pennineway‘. This lead to an abusive exchange where he told me that now I knew how those on income support feel. At least he didn’t say filthy tory scum like the usual vile rants that left wing fruit cakes come out with. His bullying has in fact lead me to change my twitter handle to remove the reference to ‘tory’ since twitter is now used much more than just for commenting along with question time. Given his total refusal to engage (have a quick luck round and leave them at Torside) I could hope that they give whoever took them blisters but I’m bigger than that. Plus since dad’s socks worked out fine they actually did us a favour by lightening the load a little. Though I was kind of shocked at the total lack of respect for other walkers and their kit. If man made does it count? The bridge below with the flags above were the only examples we really saw of what was clearly a footpath being better made off the Pennine Way than on it. 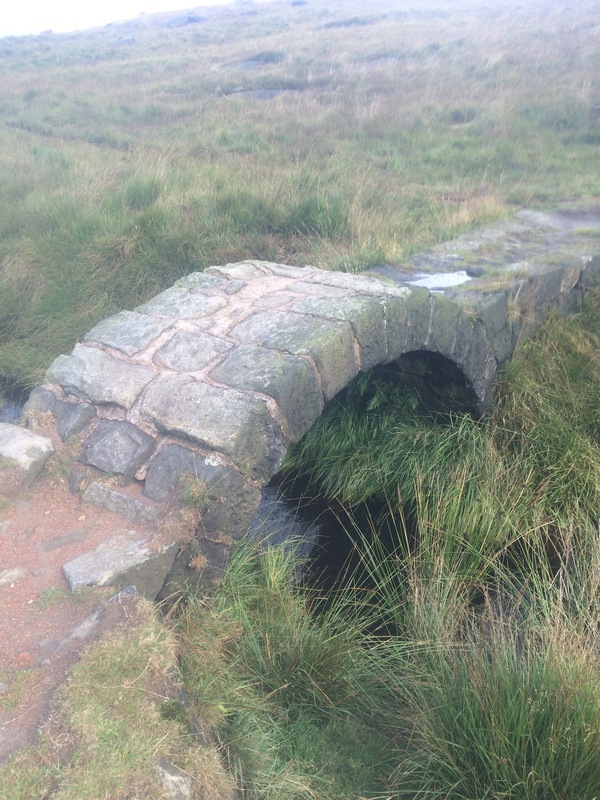 This bridge looks like someone has gone to quite a bit of work but it doesn’t seem to lead anywhere and is far too small for any kind of vehicle. There has been no doubt that this walk has been greatly aided by the use of GPS. We have met people who think they are being clever / purists by refusing to use the tech but I think they are just stupid and I don’t really have any respect for it. 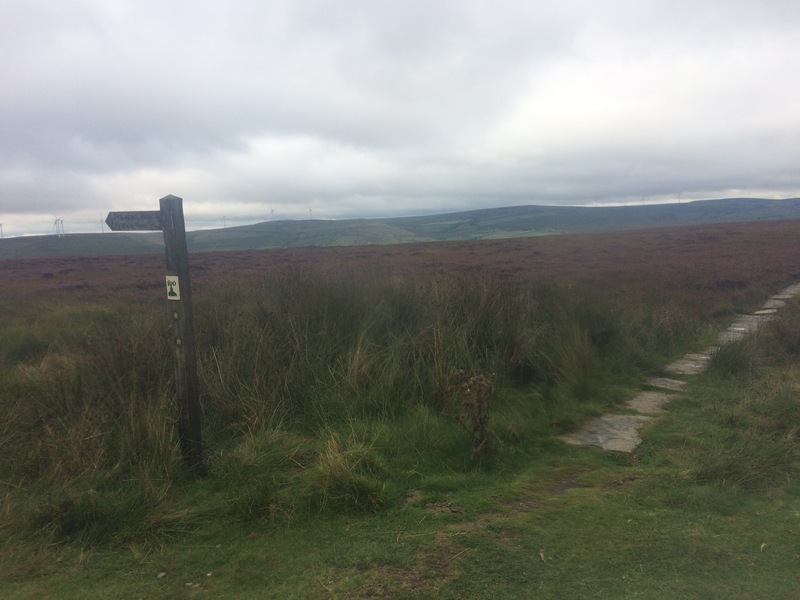 If you want to push yourself further why not just add extra distance to your walk rather than playing a random game of ‘if I miss the turning I will do an extra 5 miles’. However, for those who did any kind of travelling in a time before GPS or, even further back before maps themselves, I have the upmost respect. Supposedly this stone was an ancient marker which was used to guide people but I don’t see how that can be true. It doesn’t stand out desperately and so only confirms that you are in the right place rather than helping you to find the right way. I don’t think we are supposed to touch it. 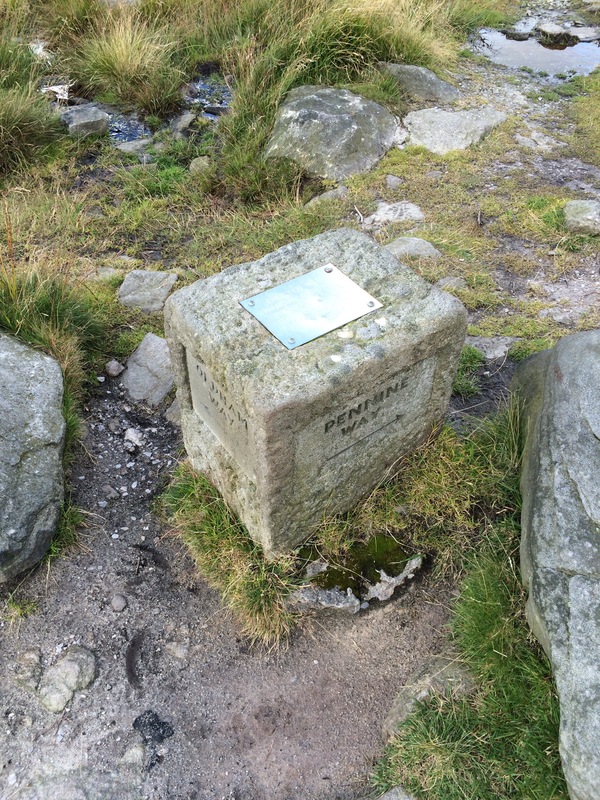 Today’s route took us past more trig points than any other (3 in total). I’m not sure we went past more than one on any other. Two of the trig points were on top of very large rocks and in order to get up for the view it required some climbing. Oddly (though perhaps not unsurprisingly) each had a divit that made for a rather nice foot hold. It does make me wonder what they are for and of course this being the age of wikipedia I was very easily able to find out! It seems that when they were built in 1935 from each it was possible to see two others and thus by careful measurement of the angles between them it was possible to build a very highly accurate map of Britain. (Well of these triangles anyway). I wonder if that would make a really interesting life challenge to visit all of them and make your own map. Though it isn’t something I will be looking to do in a hurray! From the top of a trig point. We met several walkers out today. Having been walking from North to South for the most part we had been meeting people who had already done substantial parts of the walk. For the first time we were now meeting people who had only recently started their walk. This brought home to me most at one point when I congratulated a young woman on getting this far and she pointed out that it is us that should be congratulated. Crossing the M62 I was deeply disappointed to discover that the Burger van that con sometimes be found there is very much a morning only affair. 10 years ago I think we walked sufficiently slowly that we missed it on that occasion as well. 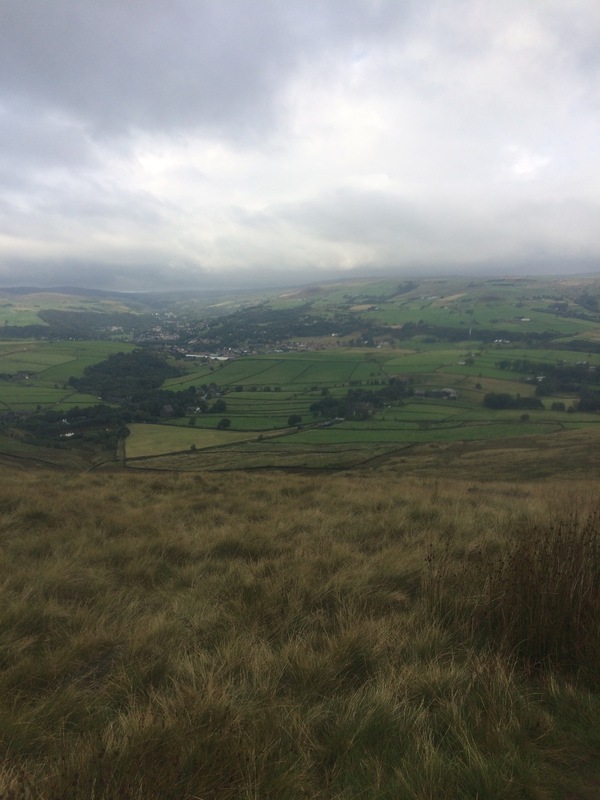 I suppose it is always possible that there is no longer a greasy burger van that greets those leaving Saddleworth in the morning so that they can sneak a greasy burger without their significant other finding out. There is, however, no doubt that for me personally crossing this bridge felt like a symbolic return to civilization (where civilization here really means the area where one grew up). It seems that following the death of a loved one who walked up in the hills someone chose to erect this stone in their memory. It made me wonder if the medieval standing stone from earlier was similarly erected. 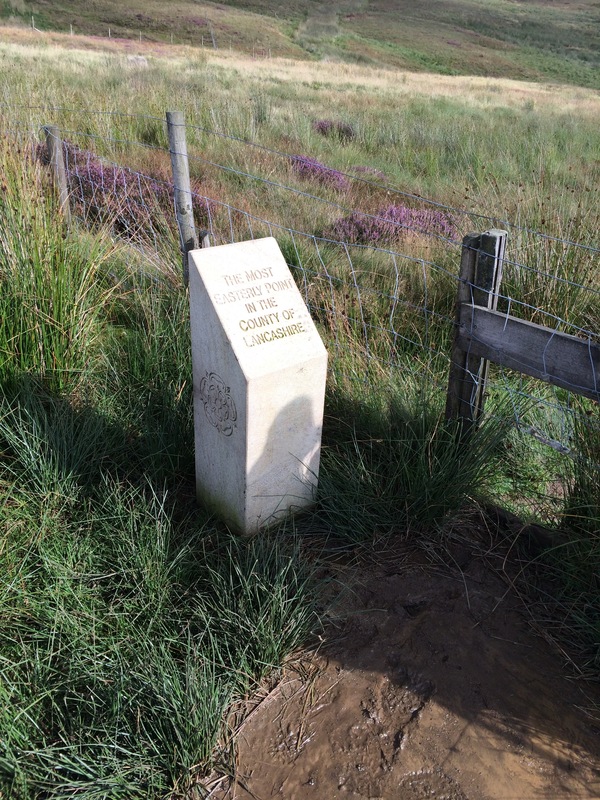 Given how easy it would be to get lost on the hills above Greenhead or the moor on the way to tan hill perhaps the erection of such stones as memorials to this who have walked the way could be a great way to make it easier for those walking it in the future. The race to the finish. Taxi booked to meet us by the old Globe House Farm we missed the turning, and seeing the track, I chose to make a bee-line for it. There was a fence but it was so poorly maintained that without doing anything more than a bit of limbo (i.e. I did not need to climb over it and an animal would not even have noticed it) we made it through a field to the path. Some local decided that he would try and give me a telling off for this, “you know your off the path, you’ve had to climb over walls and fences to get here.” One of the many problems with knowing a little bit about the world works is that irrespective of it being theoretically trespassing with no prospect whatever of a criminal convection and the damages being less than ten pence I couldn’t really give a rat’s nose. If the owner wants to sue me then please go ahead in advance I make you a part 36 offer for the aforementioned ten pence.